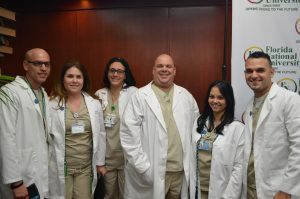 Florida National University (FNU) held a pinning ceremony to honor the Respiratory Therapy Graduating Class of 2014 in FNU’s Hialeah Campus on Wednesday, December 17th, 2014. 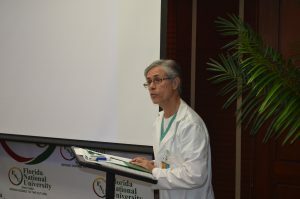 Respiratory Therapy Program Director Professor Jose Antonia Lammoglia was the Master of Ceremony. 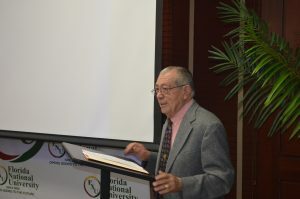 The Keynote speaker was Mr. Alfredo Castillo, a pioneer in the field of Respiratory Therapy in Chicago. At the time when the profession was just starting to be established; and it was known as Inhalation Therapy. He worked with such luminaires of Pulmonary Science as Barry Shapiro, who wrote the first textbook on blood gas interpretation.